The Dallas Symphony Orchestra’s headquarters are just down the street from Booker T. Washington High School. That makes it easy for DSO musicians to mentor students. 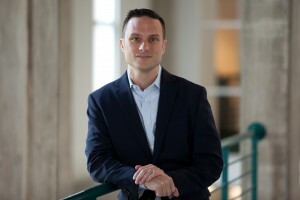 But earlier this year, one DSO member walked in a mentor and walked out a collaborator. David Cooper knows what works in a piece of music. 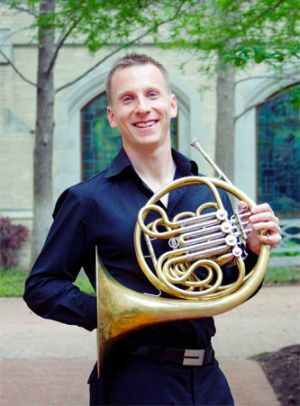 He’s the DSO’s principle French horn player. But at Booker T. Washington, he was caught off guard when he heard a duet for piano and saxophone that worked. Like, really worked. That young guy was Chase Dobson, a junior at the school. If Chase was capable of that, Cooper wanted Chase to write music for him. Chase started playing piano at 6 and wrote his first piece of music at 11. He’s scored short films for Booker T. classmates. But this was bigger. So Chase followed up with Cooper and kicked around ideas. But then a light bulb went off in Cooper’s head. Cooper is the music director of Avant Chamber Ballet. Most groups use recorded music to save money. But Avant is dedicated to performing to live music. By March, Chase already had a sketch of his composition for horn, violin and piano. As Chase expanded the piece, Avant artistic director Katie Puder was already working on the choreography. That collaboration will be on display Saturday. That’s when Avant debuts choreography set to Chase’s music as part of its New Works program. (The program continues Sunday.) Chase’s composition is called Faces of the Sun. It’s nine movements are each a few minutes long. When Cooper plays the pieces’ opening notes on his horn, it’ll be a big moment for everyone. During rehearsals, Chase has played the piano part. But for this weekend’s performances, another pianist will take over those duties. And that will allow Chase to finally just sit back, watch and listen. Just thinking about it leaves him speechless. Chase graduates next year. 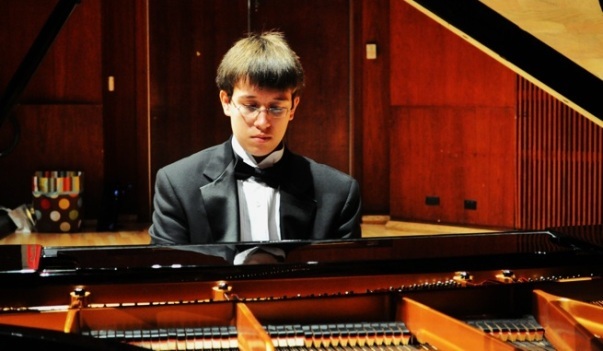 He wants to attend a major conservatory like the Curtis Institute in Philadelphia. Being able to say he’s already the composer in residence for a professional ballet company ought to look good on his application. Chase, I am so proud of you , words can not convey what I feel in my heart for you. I knew one day you nwould become a very Famous Composer. I know all your dreams are coming true, and I know the Lord is blessing you as you are blessing other with your love of music…..I will always remember you in my prayers. Love you much. It was great. Much better than that of the three Masters on the program. The Brahms did have some melody but the Ravel and Hindemith were just noise. This feeling was shared by my wife and the other two ladies we were with.